Macmillan Cancer Support have calculated that 20,000 patients would lose up to £191 a year under government's present reforms. Due to the governments decision to increase benefits lower than the rate of inflation, thousands of cancer patients will lose up to £191 each year, despite assurances that the cut will not affect disabled people. 20,000 cancer patients who receive employment and support allowance (ESA) would lose between £138 and £191 a year by 2015 under the proposals. 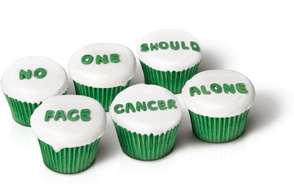 Macmillan Cancer Support have calculated that cancer patients would lose an estimated £6m in total from ESA payments in the next three years. We're deeply concerned about the impact the welfare benefits uprating bill will have on cancer patients - especially as the government has pledged to protect them from this legislation. The proposed changes to employment and support allowance, which represent a real-terms cut, will further penalise vulnerable cancer patients at a time they can least afford it. We're urging lords to protect cancer patients from these cuts by exempting all components of ESA from the legislation. Cancer is the toughest fight many people will have to face. The government should not be making it tougher for them. Labour believe that this will be even more of a problem than this, as the number of cancer sufferers is expected to increase. The government's strivers' tax bill gets worse and worse. First we found out that 7 million working families will be hit and now we know they have tried to conceal the impact on cancer patients as well. Even with these changes, people will still see their benefit increase every year. We've targeted our support so that we can continue to increase benefits like disability living allowance and the support element of ESA by inflation. This move will help keep the benefit bill sustainable over the longer term.